On the first day of this year’s Trustees’ Week, I want to thank local charity trustees for their dedicated work in running local charities. I know there are many fantastic charities in Bury doing really important work and their trustees are integral to this success. In Trustees’ Week I want to thank them for the tireless work they undertake to help others and keep the charity sector in Bury so vibrant and strong. 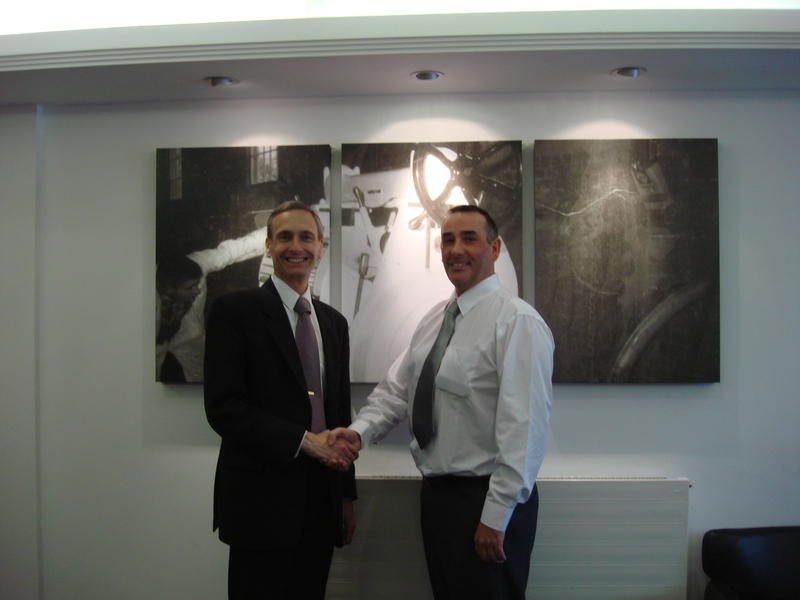 I would also encourage people to consider becoming a trustee. Being a charity trustee is a great way of learning new skills and gaining valuable experience, and could lead to new opportunities and employment. Trustees’ Week runs from 4-10 November 2013. To learn more about Trustees’ Week and trusteeship. For more information visit http://www.trusteesweek.org.uk which includes case studies, recruitment resources, details of events being held during Trustees’ Week and links to trustee matching services for those who want to become a trustee. I guess almost everyone has heard of the National Lottery but I am not sure everyone will have heard of The Health Lottery. I understand there has been some controversy over the structure it uses to operate as an almost National Lottery without being designated as such. Anyway there are apparently 51 local society lotteries behind The Health Lottery brand which has apparently raised over £28 million for good causes. The local society lottery for Bury is HealthSustain. Each week a different society lottery benefits and all the money raised across the Country is available for good causes in the area covered by that local society. I am not sure how many people take part in The Health Lottery but just in case any readers have and may have been wondering what happened to the proceeds I am informed by the People’s Health Trust that a grant of £43,357 was awarded by them to Sustrans in order to develop an ‘Active Travel for Health programme in Bury’. Apparently this funding will support the setting up of a schools-based Bike It project to encourage the creation of a pro-cycling culture and the use of the bicycle for school journeys. The programme is aimed at young people at risk of not participating in physical activity, raising awareness of the social, physical and mental health benefits of ‘active travel’ and promoting independence. £33,131 was also awarded to Mencap to establish a Gateway Active Centre in Bury. This will enable people with learning disabilities to progress from the Bronze Gateway Award to the Silver Award during what is the second year of funding. 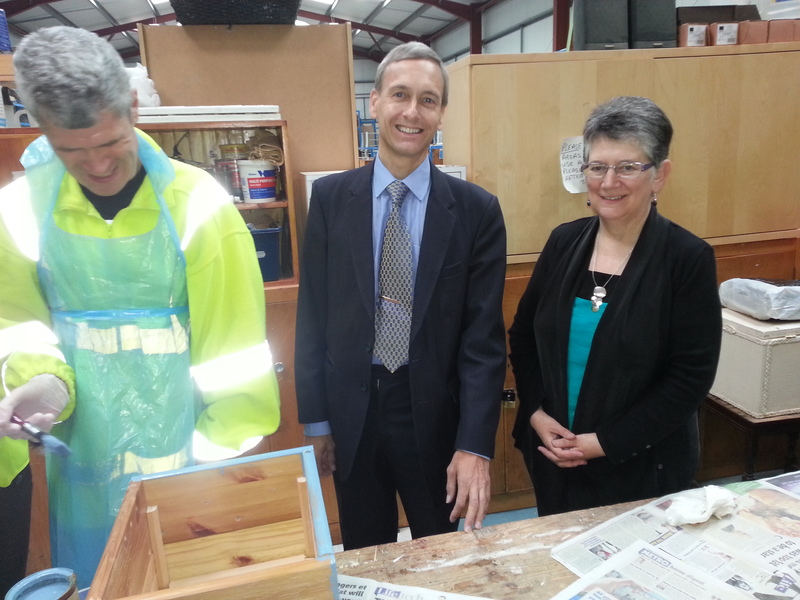 Whilst many people will be aware of the fantastic work RE>BUILD does in providing new homes for used pre-loved furniture they also provide great work opportunities for young people and adults looking to get back into the workplace. 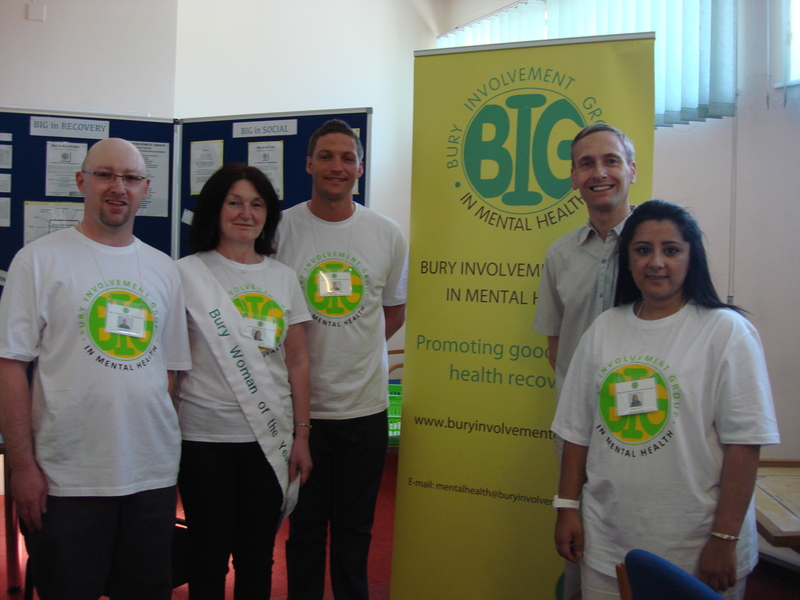 Earlier today I attended the B I G – Bury Involvement Group in Mental Health’s Open day at The Old Fire Station on The Rock, Bury. People who have mental health problems need help and support just a such as those suffering from physical illnesses and disabilities and B I G provide just the sort of friendly and welcoming environment to make it as easy as possible for those who feel they need a bit of help and advice to obtain it from experienced professional and meet others who have similar conditions. Last Friday I attended the ground breaking ceremony on the site of where to new hospice is to be built on Rochdale Old Road. It was wonderful to see real progress in this much needed project and I am sure everyone thanks all those who have worked tirelessly for so long to make the new hospice a reality. 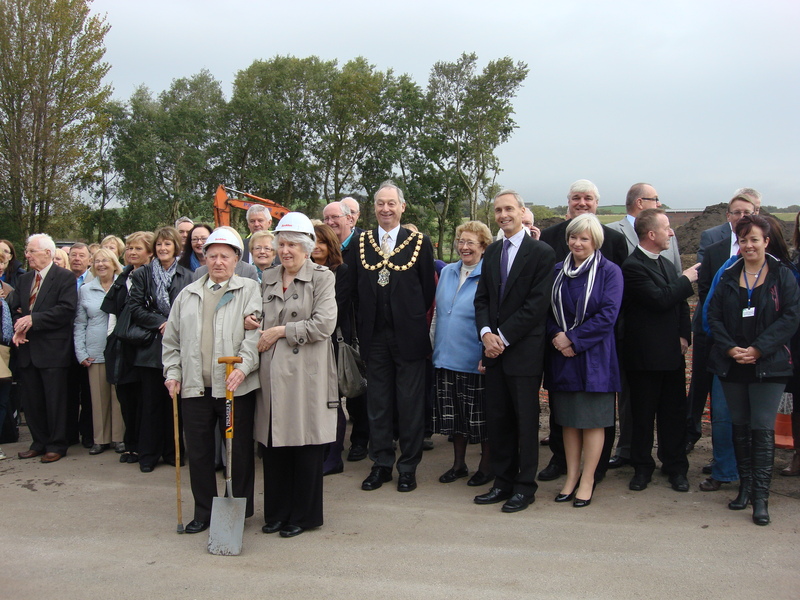 The first sod was cut by a current patient at the hospice Leonard Taylor and Brenda Caffrey the widow of the first Chairman of the Hospice Colin Caffrey and they used the same spade that had been used at the groundbreaking ceremony when the present hospice had been built. 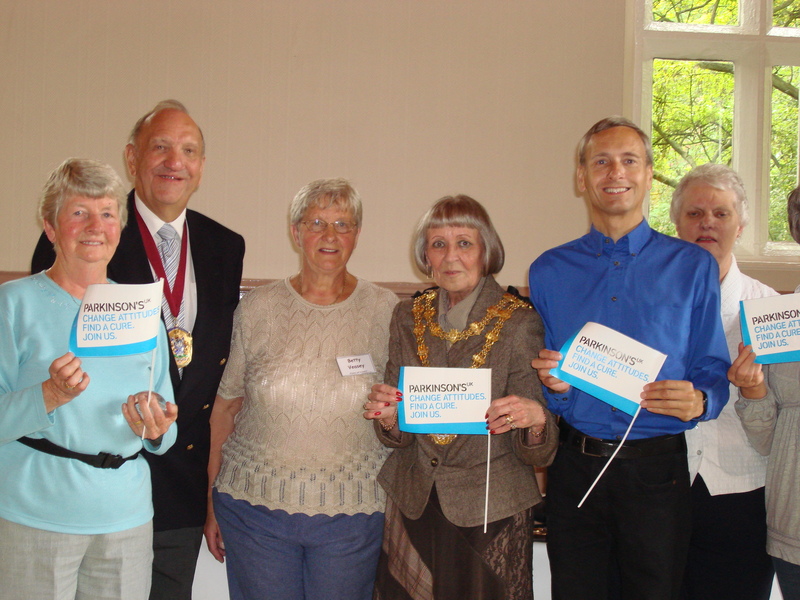 On Saturday 10th September I attended The Bury Support Group of Parkinsons UK coffee morning. The Mayor of Bury councillor Yvonne Creswell also attended the event which was held at The Blackburne Hall Bury Parish Church. In addition to a raffle which was drawn by the Mayor there were various stalls and over £280 was raised for the Groups funds.